Additional vehicles for the Delta platform, including the upcoming Chevrolet Cruze, will contribute to a surge in GM sales off of global platforms. DETROIT -- Building a million or more multiple nameplates on one platform for markets around the world is a profitable strategy, but one that is notoriously tricky to execute. A study by consultants A.T. Kearney Inc. released this week says the number of such global platforms will jump to 20 by 2015 from 12 this year. And the lure of substantial savings from global platforms, defined as those that are used for at least 1 million vehicles a year, will prompt another round of mergers and alliances. General Motors Co., the study also says, will show the fastest rise in the percentage of its global sales that come on global platforms, going from a laggard in the strategy to just below the industry average. When global platforms are done right, the savings are huge. Higher volumes bring lower parts prices and spread tooling costs over more units. And, in theory, automakers can spend less developing one platform, not three, for three markets. Cheng estimates that an automaker that can sell 1 million vehicles off a single platform can save $700 per vehicle compared with an automaker that can sell only 400,000 vehicles off a platform. Raise the volume to 2 million off the platform, and the savings rise to $1,000 per vehicle. The savings start to taper off after that, though, rising to just $1,100 at 3 million units. Japanese automakers are the masters of global platforms. This year, A.T. Kearney predicts Toyota Motor Corp. will build 2.8 million vehicles on the Camry platform. Honda Motor Co. is seen building 1.2 million units on its Civic platform, 1.1 million on its Fit platform, and 1.0 million on its Accord platform. Indeed, 90 percent of Honda's global sales come on its global platforms. Ford has talked a lot about its global B-segment platform, which will be the basis of the next Ford Focus. But the automaker to watch, says A.T. Kearney's research, is GM. GM currently ranks 7th among global automakers in the number of sales it gets from global platforms. GM's projected 2010 tally: just 1.7 million. But the picture changes dramatically by 2015. 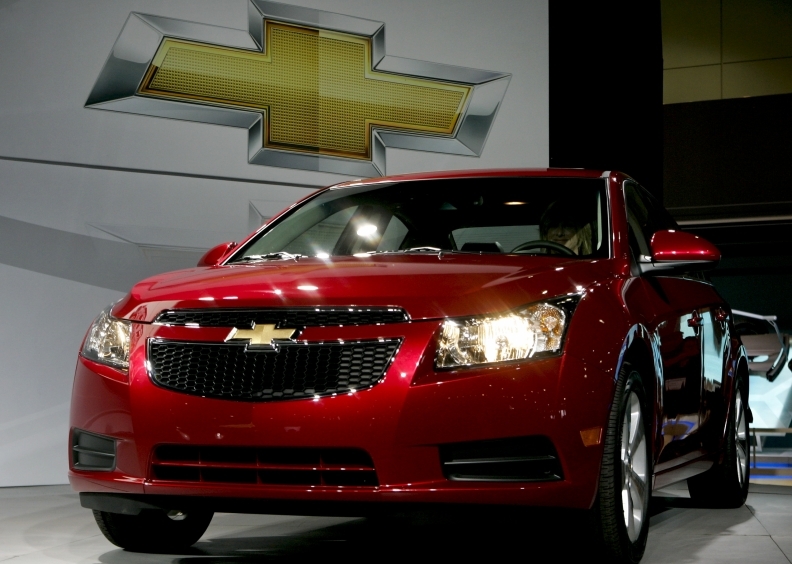 Then, A.T. Kearney says, GM will sell 5.2 million units on global platforms, enough to rank No. 2 behind Toyota's projected 7 million. The big difference will be the addition of 2.1 million units on the Delta platform, now more commonly called the Global Compact platform, used for the Chevrolet Cruze, among other models. Global platforms will account for 61 percent of GM's sales in 2015, just below the projected industry average of 62 percent but far above GM's 28 percent currently. Tallying up GM's global platforms among the world's top 30 platforms by volume in 2015, A.T. Kearney figures GM will see savings of $4.3 billion a year. At Fiat Group, global platforms will total 2.1 million units by 2015, vs. 1.6 million in 2010. Fiat and Chrysler Group will share more platforms, but still fall short of the savings that derive from building a million units or more on a single platform, Cheng says. Of course, GM, Ford and others still have to show they can execute global platforms successfully. The headaches of global platforms are well known. If a carmaker fails to distinguish between different models on the same platform, it can confuse the customer and destroy brand equity. Cadillac customers rejected the 1982 Cimarron as little more than a rebadged Chevy Cavalier. Both were built on GM's J-platform. In addition, coordinating the needs of different markets can slow vehicle development, send costs ballooning and end up pleasing nobody. Perhaps the most infamous example was the mid-1990s European Ford Mondeo and North American Ford Contour and Mercury Mystique. Developing those vehicles on a global platform cost a whopping $6 billion. The resulting vehicles were full of compromises and drove consumers away on both sides of the Atlantic.